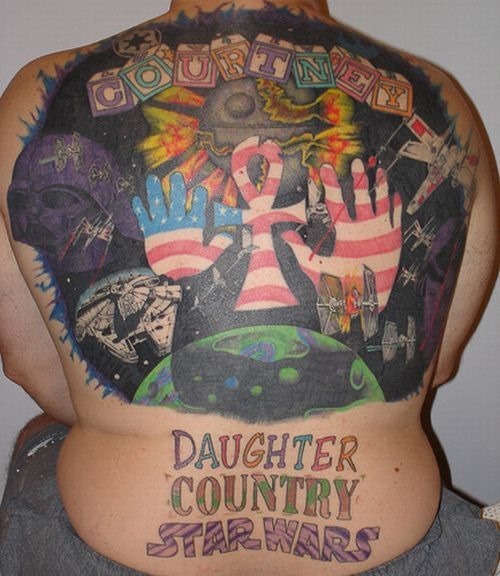 Inked on the whole back of this man, the tattoo simply fails to generate any meaning. One look and you will just see a medley of motifs inked randomly that fail miserably to convey any definite meaning or idea. The designs are stupid and so are the colors that make the motifs look drab.